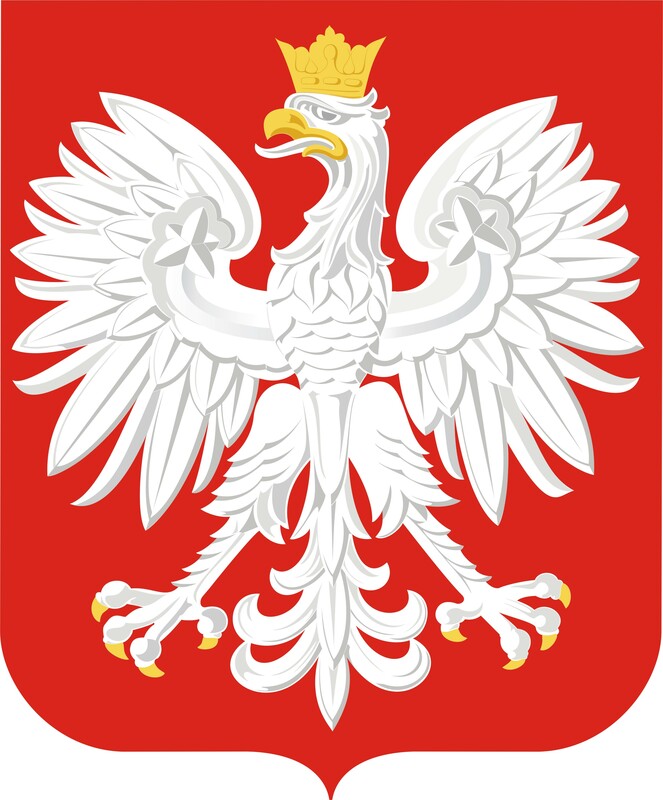 The Town Committee will register voters and provide voter information at the first annual “Little Poland” Festival sponsored by the Polonia Business Association on Sunday afternoon April 29th on Broad Street near the Haller Veterans Post. Alderwoman At Large Eva Magnuszewski, Ward 4 Alderman Larry Hermanowski, Ward 3 Alderwoman Shirley Black and other elected officials will participate at the Voter Registration table at the street festival to be held from 12:30 to 6 p.m. Mayor Tim O’Brien will cut the ribbon for the event which will be a celebration of food, art, crafts, dance and music from Polish culture and heritage. The Town Committee is seeking to work with all groups and organizations in the Presidential Election year to increase voter rolls and encourage more residents to be involved in local government. 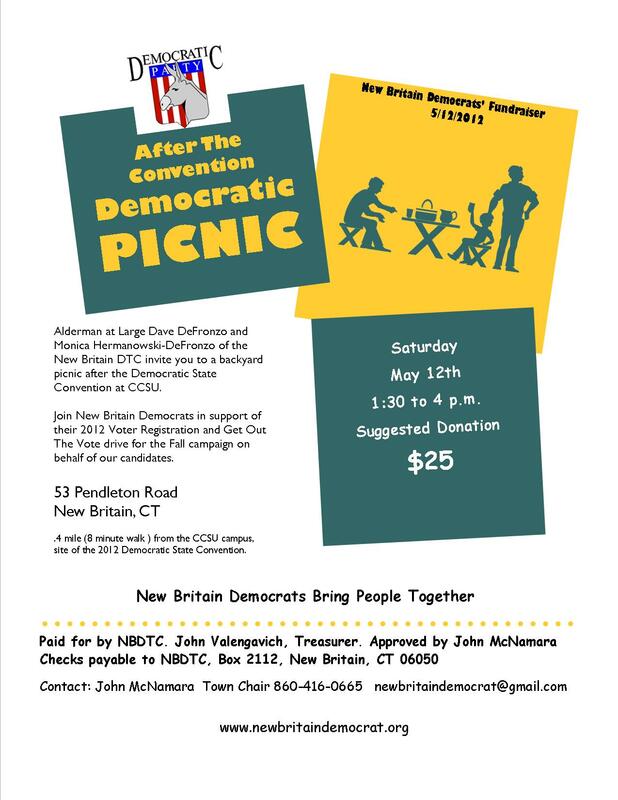 New Britain Democrats will hold a Town Committee picnic the afternoon of May 12th following the Democratic State Convention to be held at Central Connecticut State University (CCSU). Alderman at Large Dave DeFronzo and Monica Hermanowski-DeFronzo of the New Britain DTC will be the hosts for the picnic at their 53 Pendleton Road home, .4 miles (eight minute walk) from the CCSU campus. The Town Committee event will be held from 1:30 to 4 p.m. following the state convention when the endorsement for U.S. Senate and election of national committee members will take place. The suggested donation is $25 pp; sponsors are welcome at $100 with proceeds to benefit the DTC’s voter registration and Get Out The Vote activities for the 2012 campaign. For an invitation and contribution form e-mail newbritaindemocrat@gmail.com. The Democratic State Convention will be held at CCSU’s Kaiser Hall with registration starting at 7:30 a.m. and the opening gavel scheduled for 9 a.m. For delegate and convention information contact the state central committee at 860-560-1775. Delegates from Berlin, Farmington and New Britain met April 24th and re-elected Emma Pierce of New Britain and Kevin Murphy of Berlin to the Democratic State Central Committee for a two-year term. The delegations’ officers and convention committee members were also elected: Honorary Vice President Mike Trueworthy, Secretary Kristin Campanelli, Credentials Art Perry, Rules and Resolutions Emmanuel Sanchez and Permanent Organization William Watson. The Connecticut House of Representatives approved legislation to increase the state’s minimum hourly wage and House Bill 5291 moves to the State Senate for consideration. The amended legislation would raise Connecticut’s minimum wage by $.50 to $8.75 per hour in two steps. The minimum wage would increase from the current rate of $8.25 to $8.50 on January 1, 2013, and then to $8.75 on January 1, 2014. The legislation also includes minor adjustments to the minimum wage for restaurant wait-staff and bartenders who receive tips. Although the minimum wage has been raised seventeen times since 1979 it has effectively decreased by 11 percent when adjusted for the cost of living, according to House Democrats. A single parent of three making the current minimum wage will only earn $17,160 working full-time – far below the federal poverty threshold of $22,190. Opponents have continually sought to oppose minimum wage hikes by saying increases would result in fewer jobs and economic difficulty for small businesses — contentions that have never been supported by economic data after increases occur. House Democrats cited a recent Quinnipiac poll indicates that 70% of Connecticut residents support raising the minimum wage. New Britain Democrats urge you to contact members of the State Senate and the Governor to urge them to support the compromise bill. This entry was posted in Fundraiser, Minimum and Living Wages, Rock The Vote, Weekend Update. Bookmark the permalink.